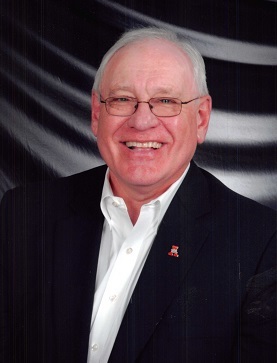 Obituary for Frederick Lee Mooney, III | Boyd Funeral Home, Inc.
Frederick Lee Mooney, III, 69, of Lonoke passed away on Monday, April 2, 2018. He was born on February 18, 1949 in Jonesboro to Margaret Sue Pharis and Frederick Lee Mooney, Jr. Fred was preceded in death by his parents and step-mother, Louise Mooney. He is survived by his wife of 47 years, Kay C. Mooney, of Lonoke, sons, Justin Curry Mooney (Beth), of Carlisle and John Frederick Mooney (Amanda), of Lonoke; sister, Lisa Mooney, of Jonesboro, his beloved grandchildren, Ally Mooney and Jackson Mooney; niece, Anastasia Putnam (Dakota) of LaCrosse, Wisconsin; step-sister Dot Davis (Jim) of Pensacola, Florida, sister-in-law Barbara McGraw-Gault (Ron); special aunts, Anna Rae Cravens (Lewis) of Jonesboro and Ann Boley (Lloyd) of Baton Rouge, Louisiana. Fred graduated from Jonesboro High School in 1967. He was an outstanding basketball player gaining much recognition and success for the Hurricanes. Former Coach and life-long friend Brian Schisler praised Fred for being an all-around player and a quiet leader. He was an accomplished offensive player, but his true strength was a defensive player, guarding the goal and drawing charging fouls which gave him the opportunity to add points for his free throws, which he never missed. He received a scholarship from the University of Arkansas becoming a life-long Razorback alumni. He lettered during the era of Duddy Waller and Lanny Van Eman. He received a Bachelor of Arts in Business in 1972. This led him to a position at Goldsmith’s in Memphis. He soon left retail and began his 40 year career in business forms which led him to Jackson, Mississippi, and Little Rock, Arkansas. He was presently employed by B & B Solutions. He achieved the distinction of being a Certified Business Consultant. Even as he continued to work, the best parts of his days were being Papa with KK and watching Ally play softball and Jackson grow during his first year. Visitation will be at 9:00 A.M., Thursday, April 5, 2018, at Lonoke Baptist Church preceding the service at 10:30 A.M. Interment will follow at Hamilton Cemetery, Carlisle, Arkansas. Memorials may be made to the Razorback Foundation at www.razorbackfoundation.com. Online guestbook, www.boydfuneralhome.net.